Stunning instrument, great looks and tone. In excellent condition. Setup with Phos Bronze 12’s. 2 very small marks on the top, very difficult to photograph (last 2 pics) with a small amount of checking on the base of the heel (as shown). Both normal and does not effect the quality of this lovely Jumbo. The Historic Collection specs are the same as the True Vintage, except the TV’s use “vintage” looks. Vintage 1950’s styling and specs. Premium sitka spruce top and gorgeous AAA flamed maple back and sides. 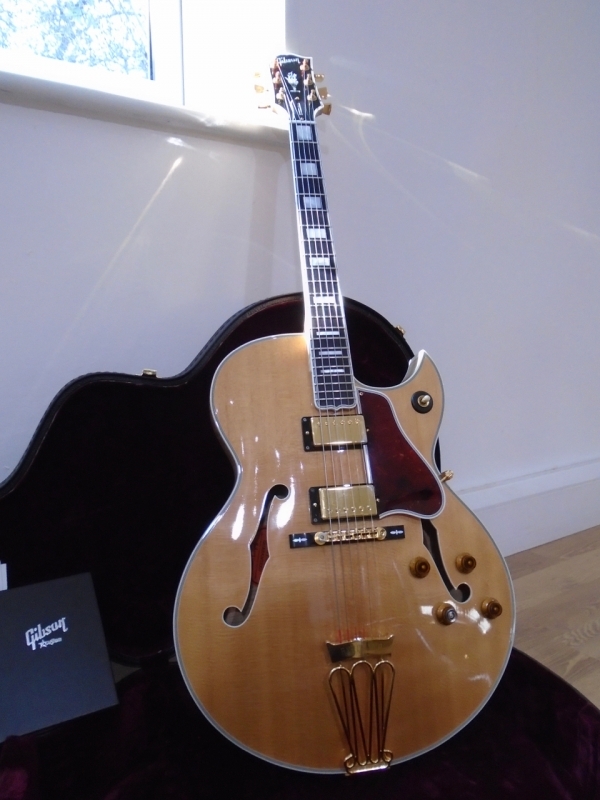 Feel free to email or call 01435 205050 to arrange to view and try the guitar. Stunning instrument, great looks and tone. In excellent condition.